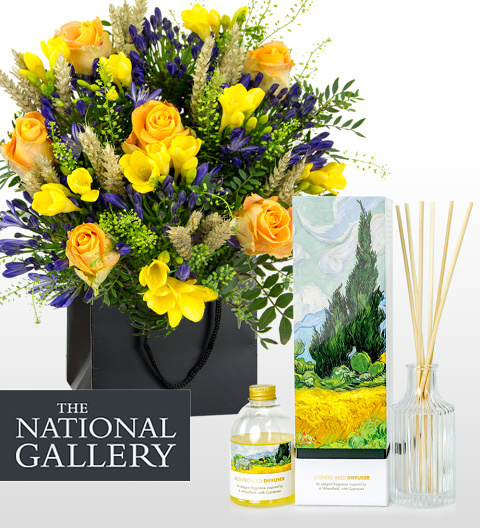 With Van Gogh's Wheatfield with Cypresses in mind, we selected the finest Morning Roses, Freesias, Thlaspi, and contrasting blue Agapanthus to create this bouquet. Each element in the bouquet corresponds with an element in this gorgeous work of art as do the scents in the diffuser. With such scents as citrus, spearmint, basil, and bergamot, this diffuser will certainly make any room even more inviting.